This review summarizes the most recent evidence regarding the effects of micronutrients on brain development. Emerging evidence indicates that nutrition in the early life can profoundly influence neurodevelopment, affecting later life health outcomes, neurocognitive performances, and disease risks. Inadequate early life nutrition has been associated with some neuropsychiatric disorders. Epigenetic mechanisms could play a crucial role, imprinting the genomes in early life making the individual more susceptible to develop diseases later in life. Children adequately nourished are more likely to reach their developmental potential in cognitive, motor, and socioemotional abilities, with positive societal repercussions. Data from further clinical trials are needed before more definitive conclusions can be drawn regarding the efficacy of dietary interventions for improving neurocognitive and social outcomes and preventing some neuropsychiatric illnesses. Nevertheless, it is reasonable to make recommendations to our patients to adopt certain dietary habits to optimize early life nutritional status in order to avoid long-term adverse consequences. Strategies of prevention should focus on ensuring more quality food to preconceptional, pregnant, lactating women and to children in their early life, not only in those areas where malnutrition is common but also in developed countries. Davide Mattei and Angelo Pietrobelli declare that they have no conflict of interest. Pietrobelli A, Agosti M, MeNu Group. Nutrition in the first 1000 days: ten practices to minimize obesity emerging from published science. Int J Environ Res Public Health. 2017;14:1491. https://doi.org/10.3390/ijerph14121491. Pereira-da-Silva L, Rêgo C, Pietrobelli A. 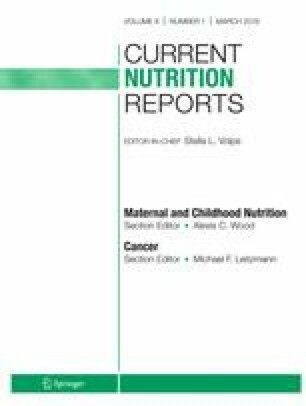 The diet of preschool children in the Mediterranean countries of the European Union: a systematic review. Int J Environ Res Public Health. 2016;13:572. https://doi.org/10.3390/ijerph13060572. Prado EL, Dewey KG. Nutrition and brain development in early life. Nutr Rev. 2014;72:267–84. https://doi.org/10.1111/nure.12102. Zeisel S. Choline, other methyl-donors and epigenetics. Nutrients. 2017;9:445. https://doi.org/10.3390/nu9050445. Kundakovic M, Jaric I. The epigenetic link between prenatal ad-verse environments and neurodevelopmental disorders. Genes (Basel). 2017;8:104. https://doi.org/10.3390/genes8030104. Marangoni F, Cetin I, Verduci E, Canzone G, Giovannini M, Scollo P, et al. Maternal diet and nutrient requirements in pregnancy and breastfeeding. An Italian consensus document. Nutrients. 2016;8:629. https://doi.org/10.3390/nu8100629. •• Velasco I, Bath SC, Rayman MP. Iodine as essential nutrient during the first 1000 days of life. Nutrients. 2018;10:290. https://doi.org/10.3390/nu10030290. This is an excellent review about iodine effects on brain development. Markhus MW, Dahl L, Moe V, Abel MH, Brantsæter AL, Øyen J, et al. Maternal iodine status is associated with offspring language skills in infancy and toddlerhood. Nutrients. 2018;10:1270. https://doi.org/10.3390/nu10091270. AbelMH, Ystrom E, Caspersen IH, Meltzer HM, Aase H, Torheim LE, et al. Maternal iodine intake and offspring attention-deficit/hyperactivity disorder: results froma large prospective cohort study. Nutrients. 2017;9:1239. https://doi.org/10.3390/nu9111239. Locks LM, Manji KP, McDonald CM, Kupka R, Kisenge R, Aboud S, et al. The effect of daily zinc and/or multivitamin supplements on early childhood development in Tanzania: results from a randomized controlled trial. Matern Child Nutr. 2017;13:e12306. https://doi.org/10.1111/mcn.12306.